There could be multiple reasons for businesses to migrate to a new web hosting service provider. The reasons vary from low disk space to poor customer service or frequent breakdowns of the server. Switching to a new web hosting provider may look overwhelming. However, in reality it's not so. This article furnishes important points in this regard. 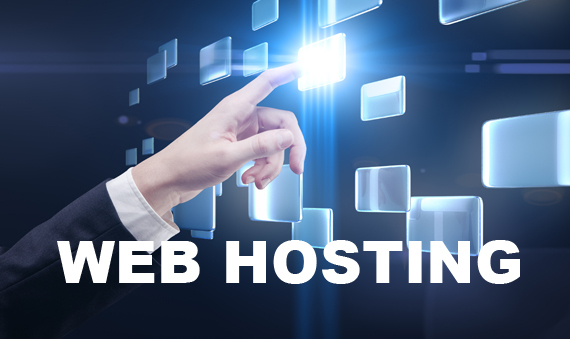 You need to consider various aspects when choosing a new web hosting service provider. These include the operating system (OS), the bandwidth and disk space requirements, the uptime and customer service. While migrating from one web hosting service provider to another, it is better to stick to the same OS as the one you are using (Windows or Linux) because it'll make migration easier. Unless you have a very good reason, do not change the OS. If you are planning to opt for a new OS, you need to check for whether that OS is being offered by the new web hosting service provider. In addition, your site needs a database such as MySQL or Access. While MySQL is compatible with both Linux as well as Windows, Access is compatible only with Windows. It's therefore sensible to take a look at these points when you migrate to a new OS. The bandwidth and the disk space provided by the new web hosting service provider are important because the former affects the speed and the latter gives the data storage space. Check if the new service provider offers a higher bandwidth and disk space at the same cost. If they don't, then we suggest you to execute a cost-benefit analysis for the two aspects. This is likely to help you take a sensible decision. Uptime is important because when your website is down, visitors/customers at your site might be annoyed and this may impair your site's credibility. In actual dollar terms, you may end up losing hundreds or even thousands. The new service could claim to provide 100% uptime, which is less likely. Ensure to verify the claims. Further, check when they execute scheduled maintenance - during peak hours or during non-peak hours. If they do it at peak hours, your business is likely to lose substantial traffic and revenue. Good customer service is crucial while choosing a new web hosting service provider. Check if customer service is available around the clock and seven days a week. They should be using phone calls, SMS, or live chat. These options ensure faster communication. You could visit the web hosting service provider's website to check the credibility of the service provider. How/what after zeroing in on a web hosting service provider? Switching to a new web hosting service provider involves making sure your site is safe from potential hazards like loss of files including HTML files, images, application, scripts, plugins, and so on. You should secure them by taking a backup in a separate computer. You could do this by using an FTP to download all the files. After migration of your site to the new web hosting service provider, make sure to recheck the configuration of your email. Not doing so may lead to failure of the email service. Your transfer to the new web hosting service provider is not complete until you update your DNS and submit it to the new service provider. Until then, your new service provider might assign you a temporary IP address. With this IP address, you could check if the website is functional. You should ensure your domain name is changed as you need. For this, you need to communicate with the domain registrar. They would advise how to change. If your domain registrar has inbuilt tools, the job will be easy for you. Once the transfer process is complete, check internal links using link checking tools. Ensure all links work as they did before the transition. In addition, check for log files and errors and troubleshoot the issues. After migration, it's important to recheck in detail if your site is working perfectly. Especially, check for the look and the features of internal web pages including forms, apps, plugins, etc. After you close all the process involved in the transition, you need to close the account with your former web hosting service provider. It's sensible to keep the account live for a week as a backup option until you are sure that the transition happened accurately. Make sure to leave a message on your web page requesting your audience to bear with patience while your site will have downtime during the transition. It'll give an impression that you're concerned for the trouble caused to your audience. It'll also help enhance the credibility of your site. Moving to a new web hosting service provider is tricky. It involves multiple things like your business's website, profits and managing the transition. However, the transition could be made smooth provided you plan properly and execute efficiently.